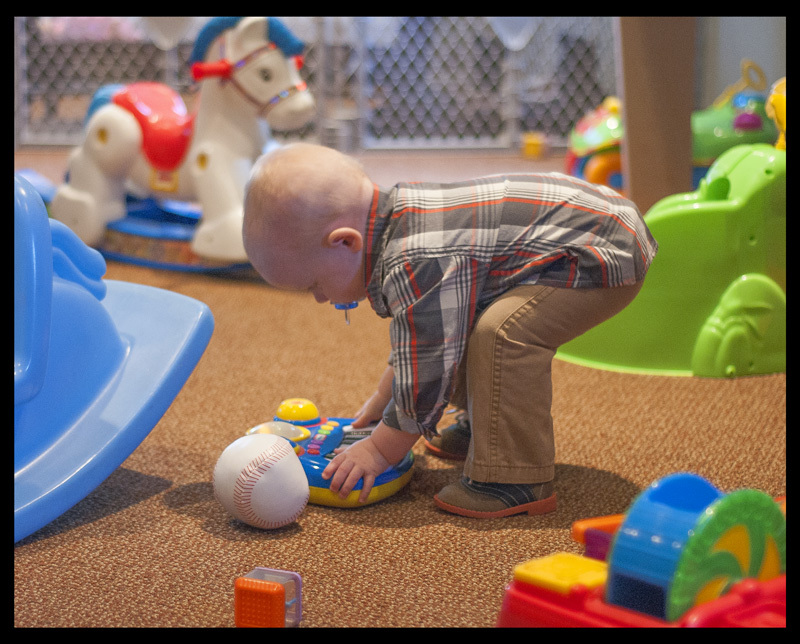 The Nursery at Ogilville Christian Church is a ministry to families with children from 0 – 24 months. Children are adequately supervised in an environment that is safe, comfortable and intentionally structured to give children Christian instruction through word and example. Take a moment to read our Mission Statement. We want to emphasize that the nursery here at OCC is not only a service to provide excellent care to babies but also a “ministry to families with children” and that we strive to be “structured to give children Christian instruction through word and example.” We begin by supplying Christian instruction with our actions and demeanor. Then, we make sure each baby actually hears the name of Jesus every time they enter the nursery, and furthermore, that they gain the understanding of God’s presence in their lives through our examples. In order to help us focus our playing, talking, care-giving and singing in ways that familiarize each child with God’s name and His love, we incorporate a nursery curriculum. Every Sunday morning, a small story and singing time is conducted in the nursery including a time where each baby touches the Bible and interacts within the story. Before and after story time, volunteers try and take special moments to talk and sing to the babies in their care. Most of all, each volunteer enjoys the special time they are given in the nursery with each baby placed in their care. “Jesus Loves Me” may be sung while rocking a baby or “The B-I-B-L-E” while changing a diaper. We are sure to have fun while instilling God’s love in each precious child.